Every couple gets a free initial consultation, usually at a coffee house that is convenient for both you and me. We can also do this meeting by phone or Skype™ if an in-person meeting isn’t possible. $300 for weekend weddings (Friday through Sunday), or $200 for Monday through Thursday non-holiday weddings. $200 for weekend weddings, $150 for Monday through Thursday, non-holiday weddings. I will attend your rehearsal for an additional $50 fee plus travel expenses. 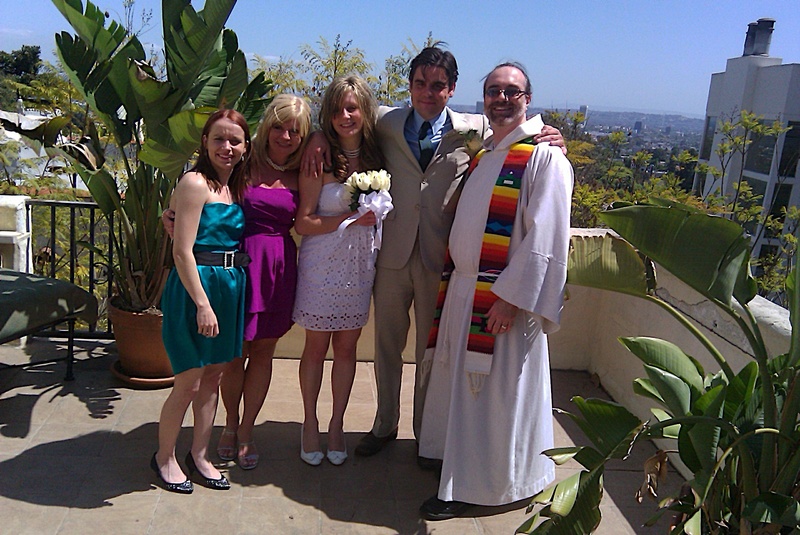 Regarding travel expenses, there is no extra cost for weddings within 20 miles of my home in Burbank. You are also requested to cover any parking, ferry or other expenses associated with your venue. I’ll gladly travel to weddings anywhere in and around Southern California for an additional 50 cents/mile each way beyond the 20 mile range.